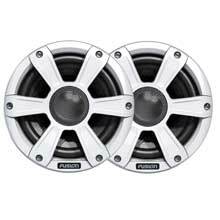 Subwoofer, MFG FWM-10, 400 Watt, 10 inch round subwoofer with 60 oz magnet, 2 inch voice coil, 28Hz free space resonance, 4 ohm impedance. Amplifier required. 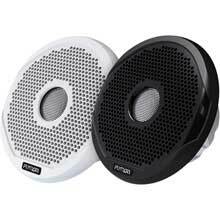 4 inch High Performance Speakers, MFG MS-FR4021, 2 way marine speakers, 120 Watts, white grill only. 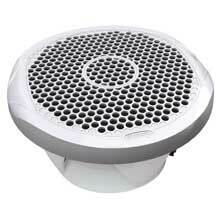 In-Ceiling Speaker, MFG# MS-CL602, 6 inch, 2-Way, 120 Watts peak power 40 Watt rating, 6 ohm impedence, grill diameter: 9.1 inch. 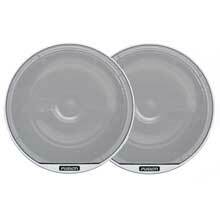 6.5 inch 2-Way Marine Speaker, MFG MS-FR6520, 1 pair of 200 Watt, 6.5 inch round marine speakers, 1 inch tweeter, 25 oz. magnet, 80Hz-25KHz freq response. 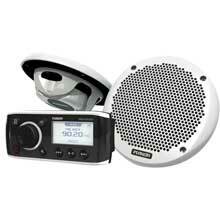 7 inch High Performance Speakers, MFG MS-FR7021, 2 way marine speakers, 260 Watts, includes white and black grills. Sold as a pair. 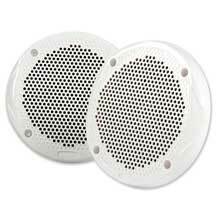 Compact Box Speaker, MFG MS-OS420, white, with mlunting bracket and hardware, sold in pairs. 100 Watts peak power, 25 Wats RMS 4 ohms. 4 inch woofer, PEI cone tweeter. 2-Channel zone amplifier, MFG# MS-AM702, designed to support the multi-zone technology of the marine stereo unit for a true multi-zone audio system, variable high pass filter, 2 Ohm stable, RCA aux inputs. 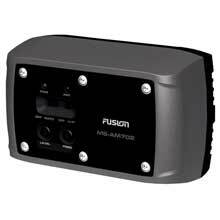 The FUSION MS-RA55 offers independent control fo the volume level in two separate audio zones. 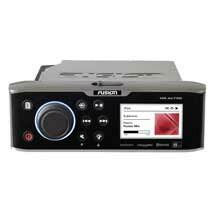 Multi-Zone Technology also includes functionality for naming zones and setting volume limits. 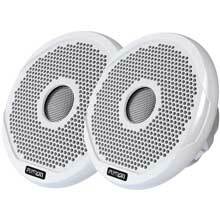 6 inch High Performance Speakers, MFG MS-FR6021, 2 way marine speakers, 200 Watts, includes white and black grills. 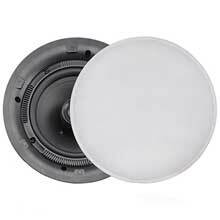 6 inch Shallow mount economy speaker 150 Watts, MFG MS-EL602, Shallow mount, water resistant, 2-way 6" inchspeakers with flush profile tweeters, mounting depth of only 41mm 1-5/8 inch, 150W peak power, tinned speaker wire, gaskets and stainless mounting screws. 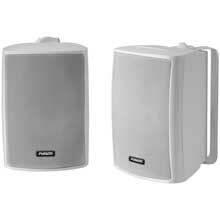 Box Type In-Salon Speakers, MFG MS-BX3020, 3 inch waterproof paper cone, 100 Watts Peak, 26 Watts RMS, 200Hz-20KHz response. 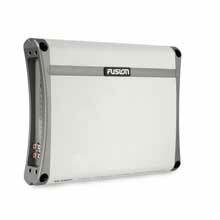 FUSION s MS-RA205 comes with NMEA 2000 and FUSION-Link connectivity. 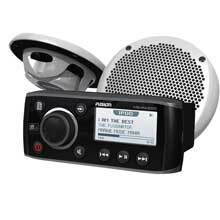 This fully featured compact marine stereo delivers powerful, clear and dynamic sound. 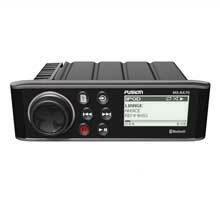 Powered by the advanced ARM-9 Processor, the MS-RA205 offers quick and intuitive audio control. MS-RA50 Bundle Package, MFG MS-RA50KTSBC, includes stereo, 6 inch speakers, gimbal mount, and iPod cable. 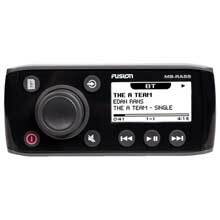 Stereo features AM/FM receiver, 2x45 Watt amp, 2.3 inch LCD, optional iPod,Bluetooth, AUX in, Pre-out. 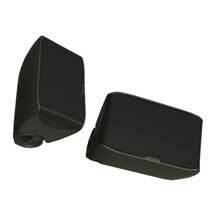 For small boats that need ony 1 set of speakers. MS-RA50 Bundle Package, MFG MS-RA50KTS, includes stereo head unit, EL602 6 inch speakers. 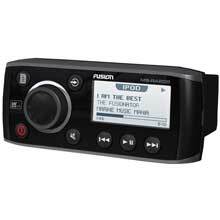 Stereo features AM/FM receiver, 2 channel x 45 Watt amp, 2.3 inch LCD, optional iPod, Bluetooth, AUX in, Pre-out. For small boats that require ony 1 set of speakers. 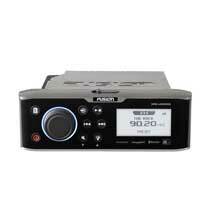 Compact Stereo, MFG MS-RA70, AM/FM/USB/AUX/Bluetooth inputs, 2 zone, 4 channels, 50 Watts per channel. Apple/Android interface. Single DIN case. Pre-out and sub-out. FUSION Subwoofer, box type, w/ 4 channel amp. Subwoofer, MFG MS-AB206, in-cabin box type, w/ 6inch voice coil and 6inch passive radiator. Built-in 350 Watt 4 channel amplifier 2 210W for subwoofer, 2 140W for external speakers. 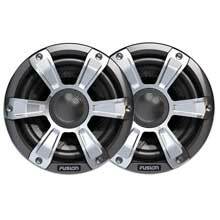 250 Watt, 2 Channel Amplifier, MFG MS-AM402, 2 Ohm Stable, Stainless Steel endcaps and base, 250 Watts peak, 65 Watts RMS 4 ohms per channel, 5Hz-38KHz. 500 Watt,4 Channel Amplifier,MFG MS-AM504,2 Ohm Stable, Stainless Steel endcaps and base,500 Watts peak,65 Watts RMS 4 ohms per channel,5Hz-38KHz. Stereo w/DVD player, MFG MS-AV650, DVD/CD/AM/FM/Sirius ready/USB, 2.7 inch mono LCD, 4x70 Watt amp., FusionLink, Pandora control, Video-out/Pre-out/Sub-out, 3 zones, 2xAUX in, IP65 waterproof front,back, NMEA 2000 compatible. 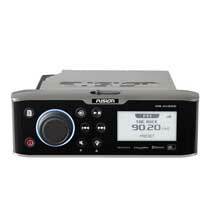 Stereo w/DVD player, MFG MS-AV750, DVD/CD/AM/FM/Sirius ready/USB, 2.7 color LCD, 4x70 Watt amp., FusionLink, Pandora control, Video-out/Pre-out/Sub-out, 4 zones, 2xAUX in, IP65 waterproof front, back, NMEA 2000 compatible. 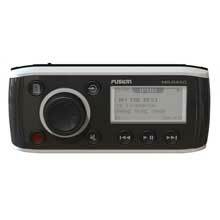 Marine AM/FM/Weather Band and VHF stereo receiver, MFG MS-RA205, Sirius ready, iPOD dock ready, NMEA 2000 and Fusion Link approved, 4x45W output. 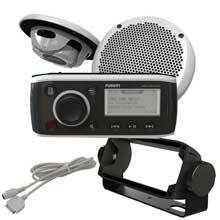 Marine AM/FM/iPod,iPhone Player, MFG MS-RA50, 2x45 Watts one pair speakers only, IPX5 waterproof front and rear, works with MS-IPDOCKG2 iPod/iPhone audio control, compact design. 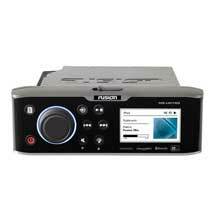 Compact Stereo, MFG MS-RA70N, AM/FM/USB/AUX/Bluetooth inputs, 2 zone, 4 channels, 50 Watts per channel. 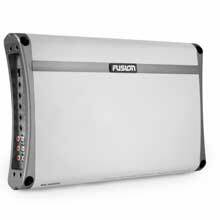 FusionLink, NMEA2000, Apple/Android interface. Single DIN case. Pre-out and sub-out. Stereo w/ Docking Station, MFG MS-UD650, AM/FM/Sirius ready/USB, 2.7 inch mono LCD, 4x70 Watt amp., internal iPod/iPhone dock, FusionLink, Pandora control, Video-out/Pre-out/Sub-out, 3 zones, 2xAUX in, IP65 waterproof front & back, NMEA 2000 compatible. Stereo w/ Docking Station, MFG MS-UD750, AM/FM/Sirius ready/USB, 2.7 inch color LCD, 4x70 Watt amp., internal iPod/iPhone dock, FusionLink, Pandora control, Video-out/Pre-out/Sub-out, 3 zones, 2xAUX in, IP65 waterproof front, back, NMEA 2000 compatible. 6.5 inch 2-Way Signature Speaker, White, MFG SG-F65W, 6.5 inch 250 Peak Power/60Watts RMS, sealed internal crossover components, treated silk dome tweeter, sealed waterproof front. Comes with interior white grill. 7.7 inch 2-Way Signature Speaker, White, MFG SG-F77W, 7.7 inch 300 Peak Power/80Watts RMS, sealed internal crossover components, treated silk dome tweeter, sealed waterproof front. Comes with interior white grill. 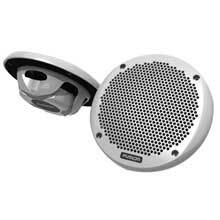 6.5 inch Speaker w/ LED, Silver/Chrome, MFG SG-FL65SPC, 6.5inch 250 Peak Power/60Watts RMS, sealed internal crossover components, treated silk dome tweeter, sealed waterproof front. Comes with silver/cjhrome grill w/ internal blue or white LED. 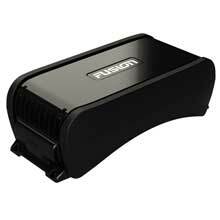 FUSION 6.5 2-Way Signature Speaker w/LED, Wht. 6.5 inch 2-Way Signature Speaker w/ LED, White, MFG SG-FL65SPW, 6.5 inch 250 Peak Power/60Watts RMS, sealed internal crossover components, treated silk dome tweeter, sealed waterproof front. Comes with ice white grill w/ internal blue or white LED. 7.7 inch 2-Way Signature Speaker w/ LED, Silver/Chrome, MFG SG-FL77SPC, 7.7 inch 300 Peak Power/80Watts RMS, sealed internal crossover components, treated silk dome tweeter, sealed waterproof front. Comes with silver/cjhrome grill w/ internal blue or white LED.